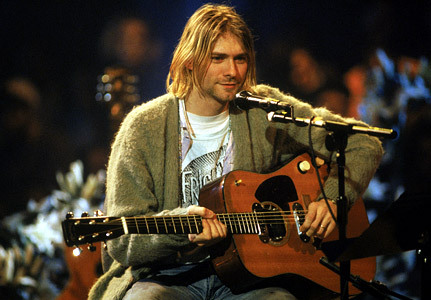 When I hear the word ‘grunge’, an image of Kurt Cobain instantly pops up in my head. He’s one of the people that represented the bedraggled grunge scene of the 1990s. He made the originally unpopular, alternative look become the biggest trend of the 90’s. ‘Grunge’ was the thing for music(Nirvana! ), fashion, and general style in different fields of art. For those of you that don’t know what grunge means- Grunge refers to the messy, raw style of music/fashion/etc(primarily music) that originated in Seattle in the late 1980s to the 1990s. It was different from what people were used to seeing before. It was so antifashion yet became increasingly popular and fashionable. There were always two sides of the grunge scene, the advocates and the critics. (Watch the music video of Nirvana’s Smells Like Teen Spirit to get a proper idea of what I mean.) In this article/post I’m going to focus on grunge as a fashion style. I know I don’t usually state a personal opinion about a fashion style so plainly before I elaborate further on the style itself, but I must say now-I think grunge is amazing. It’s such an ironic style, as James Truman, who was the editor-in-chief of Details at the time stated, and that’s what I love about it. Grunge makes a statement by not making a statement, and it’s fascinating because the fashion world is one of the only places where something this ironic can be worshiped. This irony proves that fashion is everywhere, in everyone. It doesn’t matter whether you think fashion is shallow/unimportant/for teenage girls/stupid, everyone is making a fashion statement, in one way or another. Unlike other fashion looks, you don’t have to try so hard and decorate your outfit with glamorous, standing-out garments or accessories to be fashionable. All you have to do is wake up after a hangover, put on whatever old, saggy shirt you can find at the bottom of your closet, get some tattered jeans on, and then go out of your house with bed-hair, and voila! you’re ready to be a grunge fashionista. (image above: Photograph by Steven Meisel. Published in Vogue, December 1992. / Image from http://www.vogue.com/voguepedia/Grunge)- this image being published in a prestigious fashion magazine like Vogue proves that grunge was accepted into the fashion world, although ironically most of the ‘grunge’ clothes featured in magazines would have been 100 times more expensive than the bona fide grunge look was supposed to cost. I admit that I do love dressing up like a high-fashion top model sometimes, but on days when I’m feeling a little moody or strangely calm(?) I also do enjoy getting my favorite frayed flannel shirt out(alliteration-nailed it! ), putting on my baggy old jeans and combat boots, sipping my black coffee while listening to the Nevermind album by Nirvana, with my hair tied it a messy bun at the top of my head. So.. to wrap up, I surfed around the internet to find the best grunge-styled clothes from easily accessible stores, just for you guys(in case you might bee feelin’ the grunge spirit this season)! Take a look. K: The moment I saw these I WANTED THEM!! 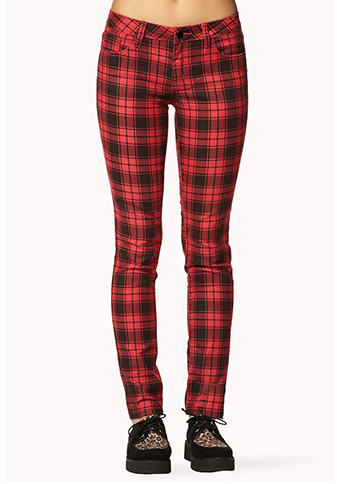 I love plaid, especially on trousers. It makes them look not-too-glam and not-too-plain at the same time. These would look amazing with a black/grey muscle tee. K: So since I saw that a lot of males were also reading Konni Kim Designs, I put some men’s clothing in. 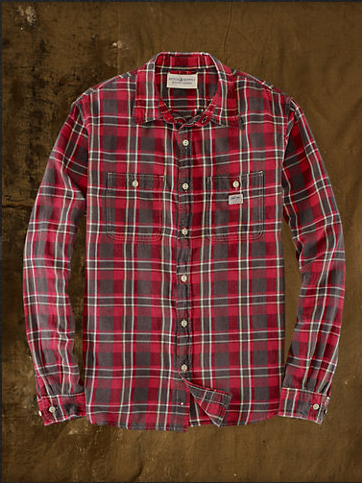 This is just a basic checked flannel shirt which can be worn with almost anything. I personally LOVE checked shirts because they’re functional, comfy, and stylish at the same time. 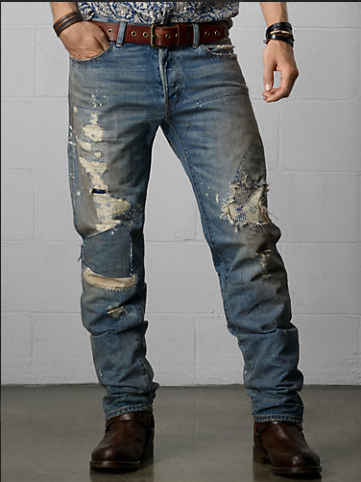 K: These jeans remind me of Kurt Cobain… But you can pull off the grunge look too! Ripped jeans suit everyone perfectly. K: OMG. I love this shirt. It’s simple yet it makes a bold statement. I would wear this with a leather jacket or maybe some colorful skinny jeans. Women could buy the men’s version and wear it as an oversized tee, to maximize the grunge effect. 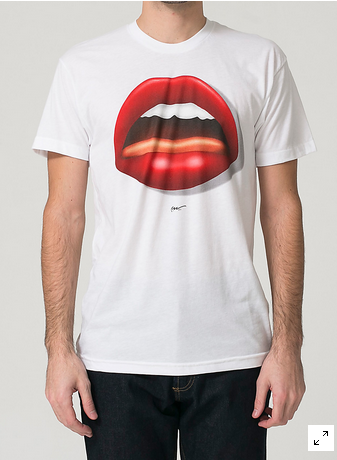 I’m gonna buy this shirt. I just have to. K: This shirt is also plain yet bold. 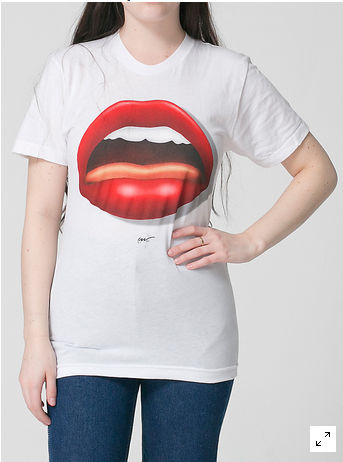 I picked it out because I loved the giant red lip design, which is actually a piece of artwork by the artist Charlie White III. That just made it more special. K: For those of you who want to look grunge but are more on the feminine side, you could get this dress! 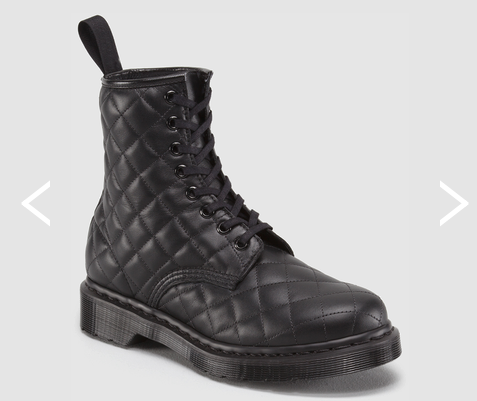 It would look great with combat boots and some leather bracelets. 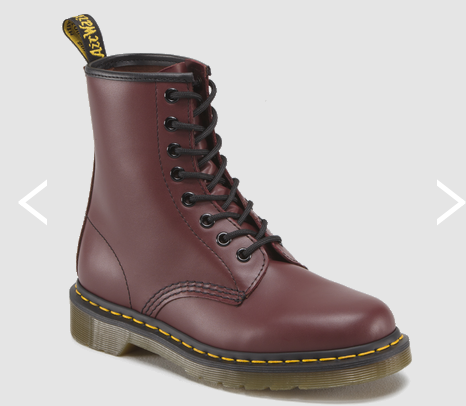 K: Again, the price doesn’t exactly fit in with the definition of grunge, but these boots themselves do! Why can’t we pull off grunge without opening our wallets(*winces*)?! Was this post helpful? Tell me by leaving a comment below this post. I read and reply to every comment. Comment, like, and follow Konni Kim Designs for more! Credits for the clothes I picked out: each website is listed below every picture. Flannel western shirts never go out of style, especially in plaid. I don’t care for the grunge look. I always want people to wash their hair. Grunge is awesome : ) Thanks for stopping by!